Each year, an exceptional group of undergraduate students joins the Corcoran Scholars program at the George Washington University. The program engages talented students across many disciplines who are driven by challenging academic and artistic growth. Recipients are supported in artistic pursuits while exploring a diversity of practices and interpretations across disciplines, gaining a deeper understanding of the creative process and its place in a greater cultural context. 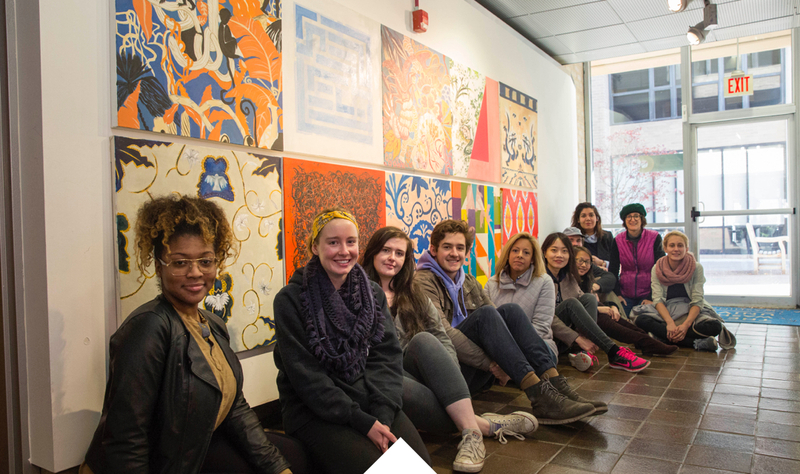 Corcoran Scholars are chosen as incoming first-year undergraduates, and join a cohort of talented arts and design students who are driven by academically robust programs that exemplify creative expression. They explore our nation’s most important museums, stages, libraries, centers for performing arts and art organizations. Washington, D.C. is recognized as an epicenter for art and culture, and provides Corcoran Scholars with a rich palette for creative inspiration among a vibrant community of practitioners and supporters of the arts. 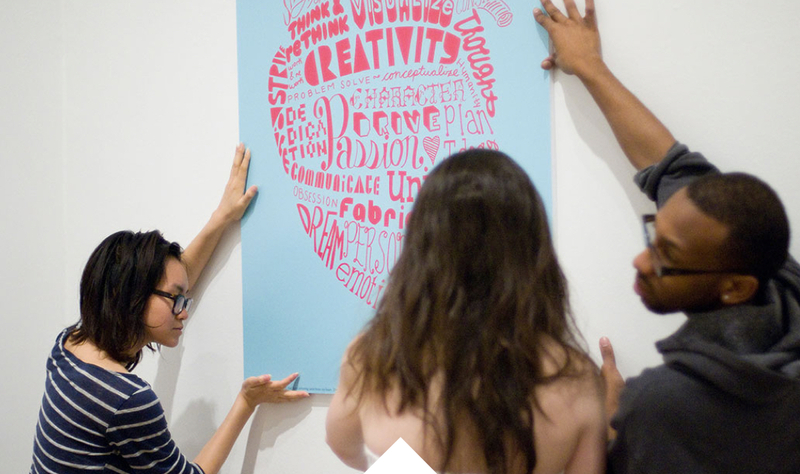 Corcoran Scholars benefit from a variety of learning opportunities throughout their time at GW — working one-on-one with faculty, who are both dedicated artists and teachers, interacting with invited guest artists and speakers, and participating in special exhibitions and performances that showcase their work. Corcoran Scholars must be undergraduates who either major or minor in their arts discipline, depending upon the academic program. Dance, Music and Theater: Priority consideration is given to students wishing to major in these areas; however, those intending to minor may apply. Art and Design: Students must major in Fine Art, Fine Art Photography, Graphic Design, Interaction Design, Interior Architecture, or Photojournalism. The selection process for the Corcoran Scholars program and scholarship is competitive, and successful candidates demonstrate excellence as talented scholars in the performing and visual arts and design. Scholarships are awarded to students of exceptional talent, maturity and commitment. A committee of faculty members evaluates applicants based on their creative work, academic record, life experiences and understanding of the program, as well as program-specific audition, portfolio review or interview requirements. Corcoran Scholars awards are renewable for up to 10 consecutive semesters of undergraduate study, assuming continuous full-time enrollment and satisfactory academic progress. First-year applicants applying for Fall Admission to GW, including Early Decision I, Early Decision II or Regular Decision may apply. Candidates will be notified of the decision in late March. To apply to the program, students must submit an application for admission to GW via the Common Application and complete a program-specific audition or portfolio review, based on your programs requirements. Corcoran Scholars who wish to study performance arts must complete an audition as part of the application process. Each performance area has different requirements. Dance Corcoran Scholars applicants must complete the Dance Audition Application in SlideRoom. Upon completion of your SlideRoom application, you will be contacted by Theatre & Dance ([email protected]) to confirm your audition date, time and details. If you audition in person you must participate in a class and perform a modern dance solo in bare feet. For in-person auditions, the solo must not exceed 3 minutes in length. The solo may be choreographed by you or by a teacher. Please supply your own music on digital device or CD format. Virtual Auditions must be submitted through SlideRoom by January 5, 2019. For virtual auditions, you are encouraged to visit campus and participate in a technique class at another time, when possible, but your Corcoran Scholars application will be considered complete by completing your SlideRoom Audition Application and solo. For your virtual submission of a solo, the dance should be 3-5 minutes in length. The solo may be choreographed by you or by a teacher. Music Corcoran Scholars applicants must complete the Music Audition Application in SlideRoom. Upon completion of your SlideRoom application, you will be contacted by the Music Program to schedule your audition. All Music Corcoran Scholars candidates must be prepared to sight-read and to take a music theory quiz. JAZZ: Perform three (3) selections in contrasting styles that demonstrate technical and musical facility. Some reference to the blues is encouraged and jazz rhythm players will be asked to demonstrate accompaniment techniques. An accompaniment will be provided. PIANISTS: Perform three (3) selections from different style periods, including one lyrical piece; also be prepared to play major/minor scales and arpeggios. STRINGS: Perform two (2) or three (3) pieces of contrasting style that demonstrate technical and musical facility. No accompaniment. VOCALISTS: Perform three (3) selections, all to be sung from memory. Two (2) selections must be from the classical/art music repertoire, of which one must be in a foreign language. One (1) selection may be from the pop/jazz/musical theater repertoire. All selections must be accompanied; a departmental accompanist will be provided or you can provide your own. All sheet music for voice Corcoran Scholars Program candidates must be sent to the GW Music Program at least one week prior to the audition. Make sure copies are clean and complete and always bring the originals to your audition. WOODWINDS and BRASS: Perform two (2) or three (3) contrasting selections that demonstrate technical and musical facility. Be prepared to play major, minor and chromatic scales throughout the range of the instrument. Please bring three (3) photocopies of your music for the audition panel. No accompaniment. CLASSICAL GUITAR, PERCUSSION and COMPOSITION: Please contact GW Music Program at [email protected] for specific audition requirements in these areas. Indicate “2019 Classical Guitar/Percussion/Composition Candidate” in the subject line. Theatre Corcoran Scholars applicants must complete the Theatre Audition Application in SlideRoom. Upon completion of your SlideRoom application, you will be contacted by Theatre & Dance ( [email protected]) to confirm your audition date, time and details. You must choose to audition in-person or virtually. Acting Corcoran Scholars candidates must perform two contrasting age appropriate monologues from contemporary plays that have been read by the applicant in their entirety (e.g. have not been drawn from monologue books or online sources). Monologues are not to exceed a combined total of 3 minutes in length. Acting Corcoran Scholars candidates also participate in an interview with Theatre faculty members. Applicants must choose to audition virtually or in-person. Technical Theatre Corcoran Scholars applicants must submit the application in SlideRoom, including a portfolio of your work by January 5, 2019. Upon completion of your SlideRoom application, you will be contacted by Theatre & Dance ([email protected]) to confirm your interview date, time and details. As part of your SlideRoom application, you will select an interview date. Interviews may be completed in person or virtually. (We encourage you to come to campus for your interview if financially and otherwise feasible.) We will be in touch upon submission of your portfolio application to confirm your selected date and details about that day.